The SATO MB400 has been discontinued. No direct replacement is available. 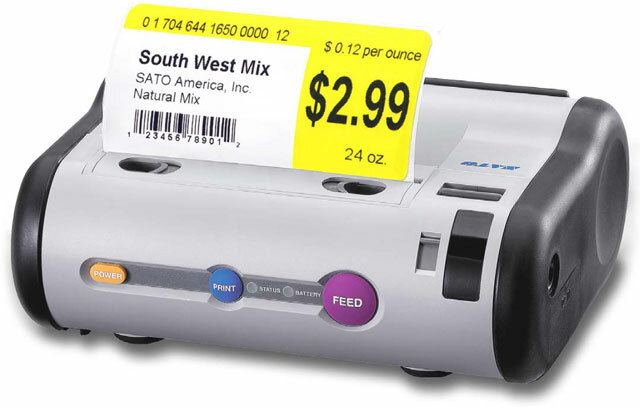 The MB400 from Sato is a thermal portable printer which can be carried wherever you go. It has a small foot print and easy to operate with its 2 button functionality. It is fitted with either a belt clip or a shoulder strap for easy carrying. The MB400 is suitable for price-marking and other applications which require 2-color printing. It has an auto power saving feature in which the printer goes to sleep when it is idle. Self-diagnosis tools are integrated to constantly check the health of the printer.